Austin Farm, locally raised high quality pastured beef from our farm. Our meat can be purchased at our farm store by the piece or by the whole and half side. Meat CSA, pick up on the 2nd Saturday of each month. 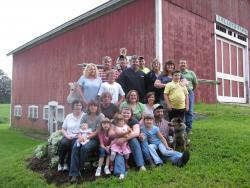 Farm store open year by calling 413-668-6843 to ensure someone is available. Specialty orders can be accommodated. Gift certificates. Our meat is available at Sutters Meat in Northampton and on various menus in local restaurants. Corn maze, pumpkin patch, and hay ride to the cows opens from September 29th until October 28th weekends only for the public. Schools and groups welcome during the week with reservations. Call ahead. Have your next birthday party at the corn maze! Find us on Facebook: Austin Brothers Valley Farm. 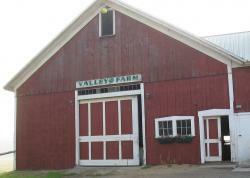 (413) 668-6843Best to call ahead before coming to the farm. Open daily or by appointment. Our own hot dogs and burgers, a story trail of kids, live music on special days, and group reservations available. Farm Family Fun, Children’s play area, Pumpkin sling shot. Available in 5lb and 10lb share. Pick up once a month on Saturday.